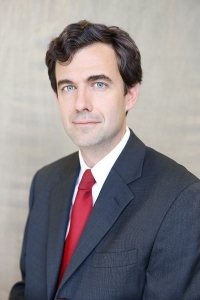 Dr. Jacob Townsend joined Birmingham Heart Clinic in 2012 as an interventional cardiologist. A native of Augusta, Georgia, Dr. Townsend graduated from the University of Georgia with degrees in political science and microbiology. He earned his medical degree from the Medical College of Georgia, where he was elected to the Alpha Omega Alpha Honor Medical Society and received the Department of Medicine Clinical Scholar Award. He studied internal medicine at the University of Alabama at Birmingham, where he also served as the Chief Medical Resident. Dr. Townsend completed his general and interventional cardiology fellowships at the Medical University of South Carolina. During his studies, he received the Outstanding First Year Award, and later the Outstanding Fellow of the Year Award. He has published research in the areas of cardiac imaging, hemostasis and cardiac physiology. Dr. Townsend’s areas of interest include interventional coronary procedures, structural heart disease, peripheral disease and venous pathology. He is board-certified in internal medicine, general cardiology and interventional cardiology. Dr. Townsend is married with four young children. When not occupied with trying to convince them all to be Bulldog fans, he can be found fishing, listening to live music, and is also involved with church.